Our expertise in the area of Corporate Immigration law is complemented by our keen knowledge of Contract and Employment law thereby providing comprehensive solutions for your business. Our Tier 1 entrepreneur and investor team is led by our Partners of the firm who have a wealth of experience and knowledge. The Tier 1 Entrepreneur visa is for applicants intending to enter the United Kingdom to start a business or buy or join an already existing business, invest funds into it and run the business. Most types of businesses are acceptable as long as it is realistic and credible. The amount of funds invested can vary depending on the circumstances of the application, and a team of two people can combine their financial resources together and make a joint application. The required level of funds must be fully invested and must create at least two full-time jobs in the business. The available funds could be £50,000 or £200,000. A Tier 1 Entrepreneur Visa on the basis of £50,000 can only be used if the investment funds come from a Venture Capitalist Firm, Seed Funding Competition or UK Government Department or when switching from Tier 1 (Graduate Entrepreneur) route. The majority of Entrepreneur Visa applications are done using £200,000 investment funds. The application can also be done as an “Entrepreneurial Team”, where two people apply together and each invests £100,000 each. After 5 years, applicants can apply to settle in the UK. The Tier 1 Investor visa enables applicants to enter the United Kingdom on the basis that they intend to invest at least £2m in UK companies or UK Government bonds. The funds can be held in a UK or overseas account but the applicant must open a UK account before making the application and also the funds must be transferable to the UK account if held abroad. This category comes under Tier 2 of the Points Based System. There are four subcategory and various requirements to be met. At Douglass Simon, we advise and assist clients on all aspects of the process ensuring that the relevant criteria are met under the Rules and SOC codes. We also assist clients who wish to vary their visa when changing employers under this category. We understand that the need for skilled workers is crucial for the growth of any business and therefore having access to the largest pool of candidates from around the world is important for your business to succeed. We have represented numerous organisations both small and large in obtaining Sponsorship Licences. Our corporate immigration team offers a full package in assisting our clients with obtaining the License and advising on the employer’s duties and responsibilities as well as maintaining their tier 2 workers by applying for the relevant visas and keeping the Home Office updated. 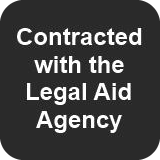 We apply for both restricted and unrestricted certificates of sponsorship and assist our clients in renewing their licences. We also keep our clients informed of regular changes to the Rules. If you are thinking about employing a non-EEA national, this can be someone who already works for you or a new hire to fill a position you have available, we can assist you with both applications for your company and your employee. We have represented employers as well as advised them on compliance issues and illegal working. Under the Immigration Act 2016, the government introduced tough measures to tackle illegal working in the UK. All companies, regardless of whether they hold a Tier 2 Sponsor License, must comply with the Rules. There is a penalty of up to £20,000.00 for employing illegal workers. Businesses need to ensure that measures are in place to protect themselves from being identified by the Home Office as hiring illegal workers. This starts with ensuring that robust ‘right to work checks’ are in place and can be evidenced to the Home Office and that follow up checks are being carried out prior to visa expiry dates. Our team is highly experienced in providing training in ‘right to work checks’ and advising on compliance to businesses that find themselves subject to an investigation or served with a closure notice or compliance order.